There's lots to tell you about today! In addition, these other products are available. You'll definitely want to use the Memento ink pad (on Whisper White cardstock) to stamp your images for coloring with the Blendabilities markers. Also, from July 1-31, you can choose one package of designer paper ($10.95 value) for FREE when you purchase 3 at regular price ($10.95)! 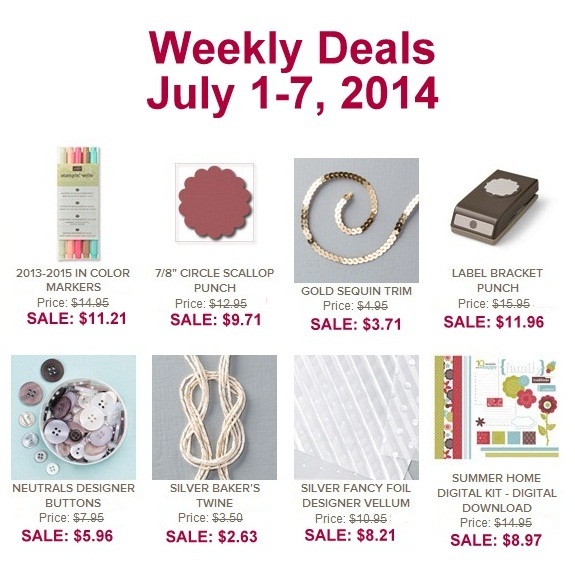 Finally, don't miss out on the brand new Weekly Deals that just started today!